Superintendent of Schools Joey Hassell welcomed Haywood High School JROTC. 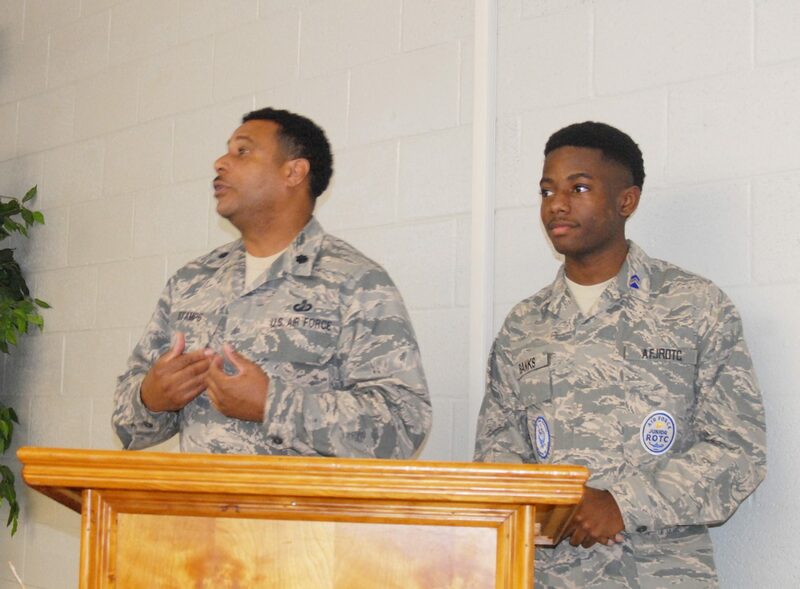 Lt. Col. Myron O. Stamps, Senior Aerospace Science Instructor, along with C/Lt. Col. Treveon Banks, Corp Commander, as one of the presentations during the Celebration of Schools at the January 9 school board meeting. Lt. Col. Stamps listed the TN-944 Unit’s national, state, and local awards and honors. He also talked about the unit’s community service and curriculum in action trips. 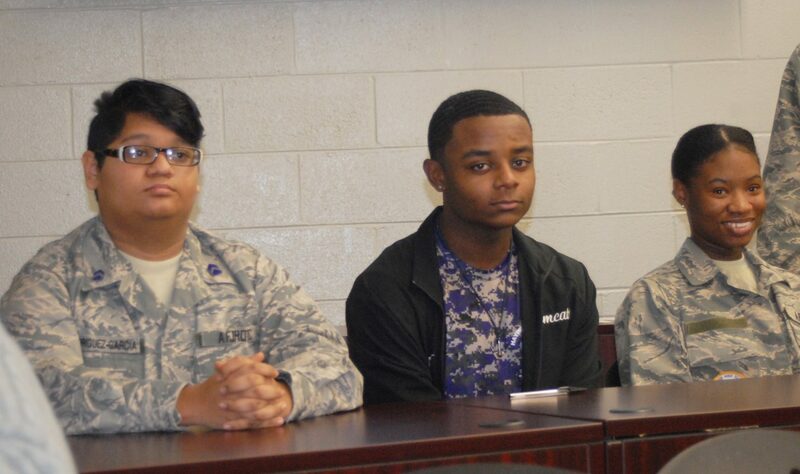 Events led by Cadet Treveon Banks were listed, as well as the Kitty Hawk Honor Society and enrichment activities. The Unit performed well on their Air Force HQ Unit Evaluation SY 18/19, and Cadet Treveon Banks and Cadet A’nya Kinney received top Performer Awards. Listed as one of their future programs is a Drone Program (STEM) planned for 2019-2020. Also making a presentation was Jay Boyd who gave the board information on the Dual Capacity-Building Framework for Family-School Partnerships. Jay serves as the Family Engagement Coordinator/GEAR UP Services Coordinator. Board members also approved on second reading three policy updates, and agreed to reapply for the TSBA Board of Distinction Award. The board has earned this distinction since 2000. The board approved nine recommendations for mini grants awarded by the board. Winning were Leslie Phillips, Nicole Henderson, Kelly Key, Brittany Ferrell, and Beth Ann Smith, all teachers at Anderson; Samantha Sammons, who teaches at Haywood Elementary; Katrina Hill and Sharon Clark from East Side; and Patrice Boyd, who teaches at Haywood High School. Board members approved budget amendments, and Superintendent Hassell reminded everyone that School Board Appreciation Week is January 21-25. 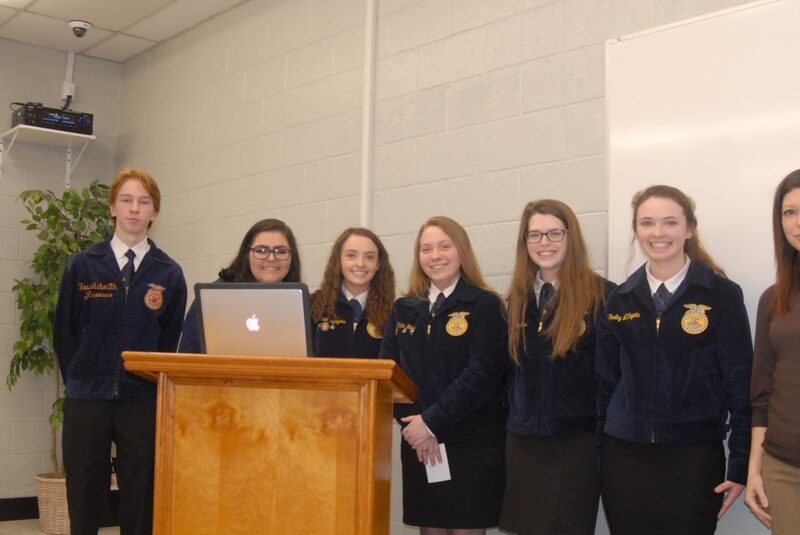 The next meeting will be held on February 14 at 6 p.m.